There is a silver bullet for preventing running-related injuries and that is by being able to directly feel the ground. When you take a more barefooted approach to running, you are more able to adapt to the ‘high’ impact of running. By constantly being aware of where and how you step during running, wearing barefoot-like minimalist shoes or running barefoot builds the capacity to develop a more enhanced forefoot strike running style, which secures you from high impact landings and injuries. When you get connected better with the ground, you respond better and recover quicker from vigorous training sessions, particularly rugged trail running workouts. I now run injury-free which convinces me that barefoot running shoes work. This is because barefoot running shoes, like the Vibram Five Fingers, don’t challenge your biomechanics in the way that traditional running shoes do, and instead help you better coordinate your next move when you run and walk. 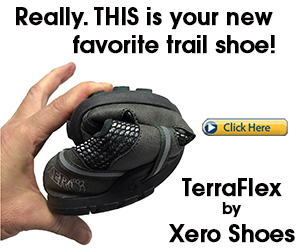 In barefoot running shoes, your feet receive plenty of sensory information that in many cases, prompts immediate and positive changes in biomechanics, particularly transitioning from heel strike to a safer, less forceful forefoot strike landing while running, giving you more of an incentive to avoid running in traditional running shoes. Because traditional running shoes blurs sensory information, makes it challenging to engage effectively and safely with the ground. The lack of ground-feel at the feet in traditional athletic footwear encourages foot, ankle and knee-joint position errors during running. This is why heavily cushioned motion control running shoes are unsustainable for running because they place limits on safe biomechanics and sensory feedback. You are less susceptible to biomechanical corruption if you run the trails in more minimalistically designed running shoes, like the Vibram Spyridon MR Elites because you learn how to run properly by adaptively choosing a forefoot strike landing over a heel strike landing. Landing according to how you feel the ground is one of the safest measures you can take to learn to land less aggressively, less intensive with the ground. The ability to feel and connect safely with the ground will be your strongest asset during, not only road running, but obstacle course races. When it comes to choosing the best shoe for obstacle course mud races, the challenge is finding the opt-most balance between sensory information being received at the feet via thin underfoot materials, but not too thin where you cut up your feet, and I really think the Vibram Spyridon MR Elite, which is built for all-weather conditions, puts you on a better path for good protection while still being able to harness sensory feedback to your mechanical advantage. In fact, the Vibram Spyridon MR Elite is the reason Vibram is now THE official footwear sponsor of the Warrior Dash. The Spyridon MR Elite is the Sypridon LS and the KomodoSport (which are the other endurance trail minimalist running shoes by Vibram), the Spyridon MR Elite is these shoes on steroids with more tread, more protection on the upper and the amour of the MR Elite fits higher up the ankle, making it better for keeping out trail debris. So, the MR Elite is great for running, walking or trekking through the deep bush without altering your foot step. The Spyridon MR Elite has better rock protection than the Vibram KSO and Vibram Trek. The Vibram Spyridon MR Elite breathes less than the Vibram KSO, so the MR Elite is a better choice for winter running. Aside from running, the Vibram Spyridon MR Elite is the perfect hiking minimalist shoe. 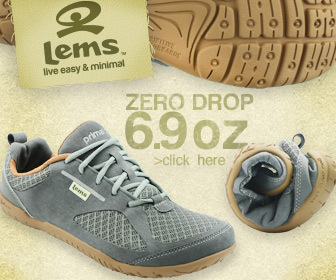 They especially handle well in slightly wet conditions with having a water-resistant upper, keeping your feet dry. One of the biggest benefits of the MR Elite’s is they grip well on wet rocky surfaces and wet grass. 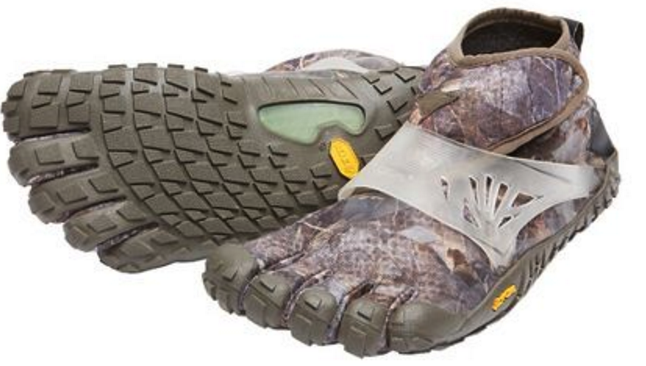 The upper has a velcro cuff that keeps mud out. The Vibram Syridon MR Elite may look super thick and heavy, like the traditional trail running shoe, but the MR Elites are a true Vibram barefoot shoe with having a 5-mm thin rubber outsole which is an excellent sensory feedback accelerator, giving you better opportunity to feel every step that cannot be felt as clearly in the traditional running shoe. This is how Vibram running athletic footwear relates to good running form, which is essential for running safely, especially when running on rugged trails. The MR Elites are incredibly light, weighing between 5.49-oz to 7.45-oz (depending on the size). 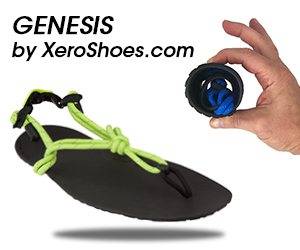 The strap system keeps your foot from sliding around in the shoe. The MR Elites fit even more securely when paired with toe socks. But, the inside lining of the MR Elite is super comfy, so you can wear them without socks. The toe sockets are one of Vibram’s greatest attributes which helps you set out to take more balanced steps and retain strong toes. I love the flexible toe sockets of the MR Elites. Your foot doesn’t feel boxed-in, which means better foot range of motion, and this is where walking and running stability derives from: when your foot isn’t restrained from moving and functioning naturally. It becomes more agile, more resilient and injury-proof. Recitative foot motions, thanks to the MR Elites, provides a better, more stable platform on the trails for a safer and productive experience. At its core, the Vibram Spyridon MR Elite is an extension of the human foot, providing lots of armored protection and promotes improvements in running form by getting you closer to the ground, helping you put your running mechanics into perspective, so you are in the right realm to run properly and encourages better movement behaviors. When it comes to endurance trail running, the better answer to less injury is wearing less under your foot. The MR Elites is a more effective approach than any other alternative, aside from actually running barefoot. Adding more protection under your foot blocks your natural connection with the ground and suppresses good mechanics. Traditional running shoes simply drive runners to heel strike, running more recklessly with blurred foot strike awareness. The MR Elites heightens natural ground connection, easily tipping the mechanical scale more towards forefoot strike running, and less injury!